All bins/recycling containers to be presented by 7.30am for collection. All bins are to have closed lids and no additional side waste will be collected except in exceptional circumstances (adverse weather, vehicle breakdown, road closures). 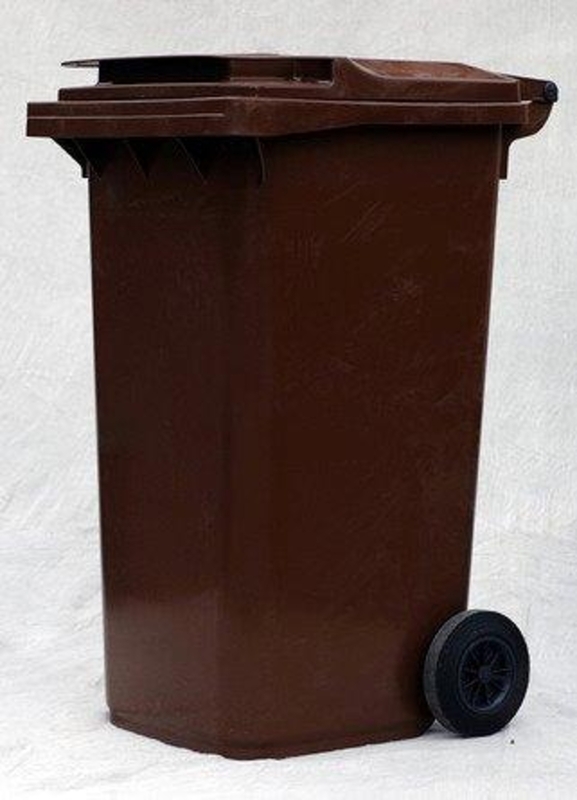 If you would like to order a new bin please log onto Council Direct (Request for Service) or contact Waste Helpdesk on T: 0300 124 5000 (Option 0). You can recycle all raw and cooked food waste, but no liquids. Please place any of the above food waste items into your lined kitchen caddy. Once full, please tie the bag and pop into your brown bin outside. The biodegradable and compostable green bag liner will be provided for free to householders three times a year. If you require additional bags, please purchase them from Council premises or from your local supermarket. Sullatober Household Recycling Centre, Mashallstown Road, Carrickfergus. Please visit our Bin Purchase page for information on how to pay for this item. What can I put in the compost bin? Like any recipe, your compost relies on the right ingredients to make it work. Good things you can compost include vegetable peelings, fruit waste, teabags, plant prunings and grass cuttings. These are considered “Greens.” Greens are quick to rot and they provide important nitrogen and moisture. Other things you can compost include cardboard egg boxes, scrunched up paper and fallen leaves. These are considered “Browns” and are slower to rot. They provide fibre and carbon and also allow important air pockets to form in the mixture. Crushed eggshells can be included to add useful minerals. Are there any things I should take care not to put in? Certain things should never be placed in your bin. No cooked vegetables, no meat, no dairy products, no diseased plants, and definitely no dog poo or cat litter, or baby’s nappies. Putting these in your bin can encourage unwanted pests and can also create odour. Also avoid composting perennial weeds (such as dandelions and thistle) or weeds with seed heads. Remember that plastics, glass and metals are not suitable for composting and should be recycled separately. My compost is too wet/dry is there anything I can do to control moisture and ensure a good mix? The key to good compost lies in getting the mix right. You need to keep your Greens and Browns properly balanced. If your compost is too wet, add more Browns. If it’s too dry, add some Greens. Making sure there is enough air in the mixture is also important. Adding scrunched up bits of cardboard is a simple way to create air pockets that will help keep your compost healthy. Air can also be added by mixing the contents. After approximately 6-9 months your finished compost will be ready. Where should I place my compost bin? It’s best to site your bin on a level, well drained spot. This allows excess water to drain out and makes it easier for helpful creatures such as worms to get in and get working on breaking down the contents. Placing your bin in a partially sunny spot can help speed up the composting process. How will I know when my compost is ready to use? Finished compost is a dark brown, almost black soil-like layer that you’ll find at the bottom of your bin. It has a spongy texture and is rich in nutrients. Some bins have a small hatch at the bottom that you can remove to get at the finished product, but sometimes it’s even easier to lift the bin or to tip it over to get at your compost. Spreading the finished compost into your flowerbeds greatly improves soil quality by helping it retain moisture and suppressing weeds. Composting is the easiest way to make your garden grow more beautiful. What should I do with the things which cannot be put into the home composter? Are there any alternatives to using this type of compost bin? Mid and East Antrim Borough Council also offer a kerbside collection of food waste and garden waste through the brown bin and food bin service which turns food and garden waste into useful compost. All types of food waste, as outline above, can go into the brown bin and a free kitchen caddy and compostable liners supplied by the Council to make the service easy to use. For more information go to the Recycle Now's Home Composting page.